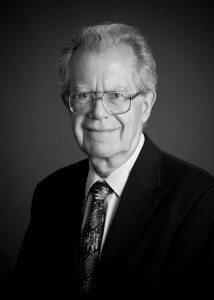 Dr. Bell joined the Board of Directors in 2011. He is a leading expert in the mass production of thermoelectric products. He has authored more than 20 publications in the areas of thermodynamics of thermoelectric systems, automotive crash sensors, and other electronic and electromechanical devices. Five of his inventions have gone into mass production and dominated their target markets. In 1991, Dr. Bell founded Amerigon Inc. and has been a Consultant to Amerigon since December 2010. Dr. Bell has served many roles in Amerigon, Inc., including Chief Technology Officer until December 2010, Director of Technology until 2000, Chairman and Chief Executive Officer until 1999, and President until 1997. Dr. Bell served as the Chief Executive Officer and President of BSST LLC, a subsidiary of Amerigon from September 2000 to December 2010. He has served as a Director of Amerigon since 1991. Previously, Dr. Bell co-founded Technar Incorporated, which developed and manufactured automotive components, and served as Technar’s Chairman and President until selling majority ownership to TRW Inc. in 1986. Dr. Bell continued managing Technar, then known as TRW Technar, as its President until 1991. He co-founded Mahindra REVA Electric Vehicle Co Ltd. in 1994 and serves as its Vice Chairman. He has been a Member of Scientific Advisory Board of Nextreme Thermal Solutions, Inc. since 2006. Dr. Bell received a B.Sc. in Mathematics, an MSc. in Rocket Propulsion, and a Ph.D. in Mechanical Engineering from the California Institute of Technology. He serves on the board of directors of Ideal Power Inc. (NASDAQ:IPWR) and Clean Diesel Technologies, Inc. (NASDAQ:CDTI).